Joseph K. Nicholes, BYH Class of 1908, has the distinction of serving as the third and fifth president of Dixie College in St. George, Utah. Joseph Kelly Nicholes was born in American Fork, Utah on October 10, 1887. His parents were Joseph Nicholes and Eleanor Kelly. Nicholes graduated from Brigham Young University High School in 1908, then served an LDS mission to Denmark from 1909-1912. As mission secretary, he was responsible for the Church's Scandinavian emigration to the United States. Upon his return, he married Olive Maiben on June 5, 1912 in Salt Lake City. Joseph and Olive Nicholes had nine children. Joseph taught at St. George Stake Academy/Dixie from 1912 to 1914. He attended classes each summer at Brigham Young University, and studied there full-time from 1915 to 1916 to complete his Bachelors degree in Chemistry, Physics, and Mathematics. He was selected as president of Dixie Normal College in 1919, and he continued to teach Science and Mathematics. In the summer of 1923 he studied at Stanford University, where he earned his Masters degree in Chemistry in 1924. During this period, the office of the president of Dixie College was filled by Edgar M. Jenson. While not a BYH graduate, Jenson later became one of the longest serving principals at Brigham Young High School, 1928 to 1935. After being away from Dixie Junior College for 16 months, Professor Nicholes returned to Dixie where he taught Physics, Mathematics and Chemistry for two years. With the departure of President Jenson in 1926, he was again appointed President of the College, a position he held until 1933. By so doing, he served as third and fifth president of the school. Joseph Nicholes loved St. George, and served the community as director of the St. George Chamber of Commerce and president of the St. George Building Society. He was also president of the St. George Stake of the LDS Church from 1925 to 1930. When LDS Church leaders decided that the Church would be unable to continue its financial support of the ever-growing Dixie College, Joseph spent day and night, for a considerable time, working out the transfer of the college to the state. During the Nicholes administrations, the first and second phases of the Science Building were completed. 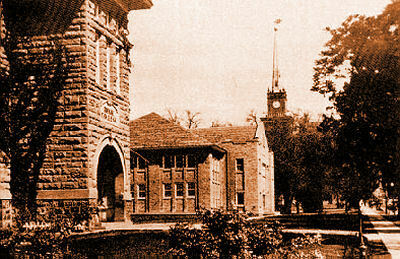 In addition to providing classrooms and laboratories for the Biological and Physical Sciences, the building also housed the Food and Clothing Labs, and the Auto Mechanics Department. When President Nicholes left Dixie College, B. Glen Smith was appointed President. Long after moving to Brigham Young University, Joseph Nicholes retained his special interest in and affection for Dixie College. As they say in Southern Utah, after he left "he still had red sand in his shoes". 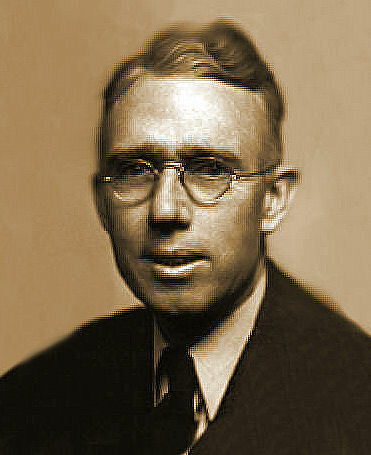 Joseph taught chemistry at BYU from 1933-1960, and served as chairman of the Chemistry Department from 1945-1955. During his tenure, he developed it into one of the strongest departments at BYU. He inspired many students to pursue graduate studies in science and medicine. Joseph also taught LDS Church history at BYU for many years, and served as a member of the LDS Sunday School General Board from 1938-1946. Honors given to Professor Nicholes include the Karl G. Maeser Distinguished Teaching Award, the Utah Award from the American Chemical Society, and in 1961, Brigham Young University presented him a D.Sc. honoris causa -- an honorary Doctorate degree -- in recogntion of his distinguished academic career. He died in Provo, Utah on October 4, 1964 at the age of 77. The children of Joseph K. Nicholes and Olive Maiben Nicholes are: 1. Henry Joseph Nicholes, born March 24, 1913 in St. George, Utah [BYH Faculty 1946-1947]; 2. Eleanor Louise Nicholes, born January 14, 1915 in American Fork, Utah; 3. Max Maiben Nicholes, born June 12, 1916 in St. George; 4. Ruth Nicholes (Miller), born March 25, 1919 in St. George [BYH Class of 1937]; 5. Virginia Kirsten Nicholes, born April 15, 1922 in St. George [BYH Class of 1940]; 6. Elizabeth Jeanne Nicholes (Blaine), born November 24, 1925 in St. George [BYH Class of 1944]; 7. Margaret Ann Nicholes (Otterstrom), born January 27, 1927; 8. Mary Joyce Nicholes (Woodbury); and 9. K. R. Kelly Nicholes [male].